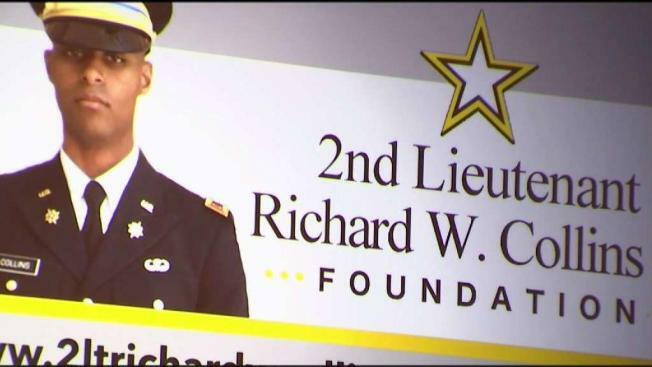 After their son was stabbed to death three days before he was set to graduate, the parents of 2nd Lt. Richard Collins III are setting up a scholarship in his honor. The scholarship will be available to ROTC students attending historically black colleges and universities. Collins was a student at Bowie State University when he was stabbed to death in what prosecutors have called a hate crime. The state of Maryland has agreed to set aside $1 million each year for the fund, and Collins’ parents have also set up a foundation in his name. “It’s serving as therapy for us, it’s helping our healing process,” father Richard Collins II said. Collins was waiting at a bus stop with two friends when Sean Christopher Urbanski, a former University of Maryland student, walked up to Collins and allegedly told him to move out of the way. Then, he stabbed him, police said. Since that fatal stabbing, Urbanski has been charged with first-degree murder as well as with a hate crime. Prosecutors added the latter charge after they found evidence that Urbanski had joined a white supremacist Facebook group, as well as other ties to white supremacist groups on his phone. Dawn Collins, the mother of the slain student, has described her son as a patriot who was proud to serve his country.